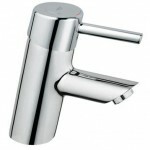 TOTO is one of the most known brands when it come to kitchen and bathroom fixtures. 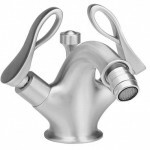 The company is known for the quality and design of their products. 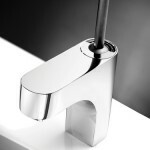 With the desire of continuing to create elegant design while being earth friendly, TOTO came up with the TEL3GKCN-10-Axiom EcoPower Sensor Faucet that features contemporary styling and a cleaner restrooms and bathrooms. 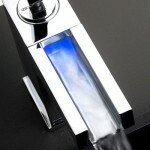 What best of this faucet is that, it has a revolutionary EcoPower self-generating hydropower system, and it has a smart sensor that sets its own range without the need for you to adjust. Easy to clean and ADA comliant, and is suitable for both commercial and residential, the EcoPower Sensor faucet is definitely the faucet of the new generation.